Yakub Memon, convicted in the 1993 Mumbai serial blasts, has now approached the Supreme Court challenging the death warrant for his execution which is scheduled on July 30. According to his new plea the Death warrant is illegal because it didn't follow proper procedure prescribed by the Supreme Court in Shatrughan Chauhan & Anr. v. Union of India & Ors.. In this Judgment Supreme Court held that Article 21 inheres a right in every prisoner till his last breath and this Court will protect that right even if the noose is being tied on the condemned prisoner’s neck. Relying on the above Judgment Supreme Court had recently quashed the death warrant issued against the Death row couples Shbnam and Saleem [Shabnam v. Union of India & Anr. and National Law University, Delhi through Death Penalty Litigation Clinic v. Union of India & Anr. It is already declared that Yakub Memon will be hanged at 7 am on 30 July in Nagpur Central Jail for his involvement in Mumbai blasts that claimed 257 lives and left 713 injured. Memon had, on Tuesday, filed a mercy petition before the Maharashtra Government Ch. Vidyasagar Rao. Despite citing five grounds for reprieve in his latest mercy plea, the BJP-led Maharashtra government, according to senior officials, is of the view that his appeal for clemency remains unsustainable. Accordingly, the government is preparing legal grounds to disprove Memon’s plea. The BJP government is consulting top legal luminaries to decide on the plea, with just eight days to the scheduled hanging. 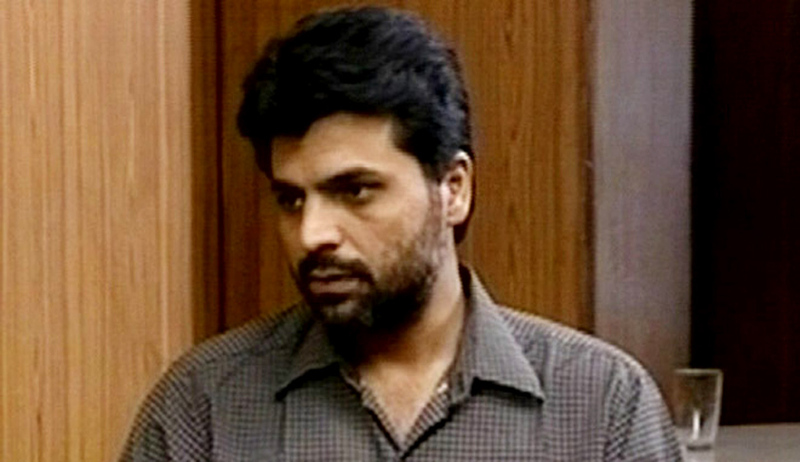 Even if his fresh mercy plea is rejected by the President, Yakub Memon cannot be hanged on July 30 in view of a Supreme Court verdict that prescribes a 14-day gap between rejection of mercy plea of a death row convict and his execution. “This would allow the prisoner to prepare himself mentally for execution and have a final meeting with his family members. It is for the jail superintendent to see that the family members of the convict receive the communication rejection of mercy petition in time,” a three-judge bench headed by then CJI P. Sathasivam had said. Memon had approached the Governor; right after the Supreme Court dismissed the curative petition filed by him. You may read the LiveLaw article here. Memon has cited five main grounds for seeking fresh clemency. “The first is his mental and physical health. He has been suffering from schizophrenia since 1996, and his health has further deteriorated over the years. He suffered several breakdowns while facing trial before the TADA court due to a fragile medical condition,” said Memon’s lawyer, Shubail Farook. The second reason that the plea invokes is the ground of parity, arguing that the remaining convicts in the case — including those who planted bombs — had been handed life sentences. It further claims that Memon has already served 22 years in jail. Besides this, it makes grounds for reformative punishment, arguing that Memon had been awarded two degrees by the Indira Gandhi National Open University, and for his tutoring of fellow inmates. Lastly, Memon has also challenged the merit behind his sentencing yet again. When questioned about the validity of the second mercy petition, Memon’s lawyer Anil Gedam explained that the first had been filed by his brother Suleman Memon, while this was the first mercy petition filed by Yakub himself. Meanwhile, the Centre told the Supreme Court on Wednesday the practice of filing repeated mercy pleas should be stopped. The bench was hearing the Centre’s plea against Tamil Nadu’s decision to remit the life sentences and prematurely release seven convicts in the Rajiv Gandhi assassination case. In this context, the Court said, "As per the Constitution, the President has the power to entertain a mercy petition from anywhere in India irrespective of whether the person was awarded death penalty under a central law or a state law. But the governor can only deal with cases arising within the state jurisdiction and when the death penalty was imposed through a state enacted law. Can a condemned prisoner move the governor after the President rejects his mercy plea?" But the bench was considering the awkward situation that could be created through such a practice. The CJI said, "See the embarrassment. The President rejects the mercy plea. The condemned prisoner files a fresh mercy plea before the governor who commutes the death penalty to life imprisonment. Did the framers of the Constitution envisage this? I don't think so. Is it not an incongruous situation? Can a person after losing his case before a high court go before the district court and appeal?" The SG said, "There could be a situation like this in exercise of mercy jurisdiction by the President and the governor, which runs concurrently. The mercy powers of the President and the governor run concurrently and could, thus, create an awkward situation." The bench asked the SG to think about it and give an answer to the court. Kumar said of late, it had become a trend. "A condemned prisoner files mercy petition before the President or the governor. When it gets rejected, he moves the constitutional courts alleging that his mercy petition has been rejected without proper appreciation of facts and circumstances. When that petition gets rejected, he again moves another mercy petition. And the cycle is continued," he said. "We will come to a situation when there could never be finality to cases in which death penalty has been imposed by the courts after thorough examination of facts and circumstances. This cyclic process of filing mercy petitions and moving the courts is meant to frustrate the process of law by not allowing a case to reach finality," the SG said. Earlier in May, the Supreme Court, in the case of Shabnam v. Union of India & Anr. and National Law University, Delhi through Death Penalty Litigation Clinic v. Union of India & Anr. had quashed death warrants issued in haste and ruled that the “Right to dignity also extends to the death row convicts”. Relying on a similar plea, the accused in Shatrughan Chauhan & Anr. v. Union of India & Ors. had urged to take the supervening circumstances into account. The legal basis for taking supervening circumstances into account is that Article 21 includes a right in every prisoner till his last breath and the Court will protect that right even if the noose is being tied on the condemned prisoner’s neck. [Reference being made to Sher Singh and Ors. vs. State of Punjab (1983) 2 SCC 344, Triveniben vs. State of Gujarat (1988) 4 SCC 574, T.V. Vatheeswaran vs. State of Tamil Nadu (1983) 2 SCC 68, Jagdish vs. State of Madhya Pradesh (2009) 9 SCC 495]. Memon, in his plea, had claimed he was suffering from schizophrenia since 1996 and remained behind the bars for nearly 20 years. He had sought commutation of death penalty contending that a convict cannot be awarded life term and the extreme penalty simultaneously for the same offence. The apex court said, "The petitioner has raised certain grounds in the curative petition which would not fall within the principles laid down in the case of Rupa Ashok Hurra vs. Ashok Hurra"
"Since none of the grounds stated in the curative petition would fall within the parameters indicated in the case of Rupa Ashok Hurra (Supra), the curative petition stands dismissed," the bench, also comprising T S Thakur and A R Dave, had said.